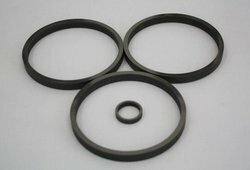 Graphite Sealing Ring is provided by us in best quality. We put compressibility and resilience into each ring and that's what makes the difference.When you receive a pre-formed ring from Smart-Shield, it still has 15% to 20% compressibility left in it.As you install the ring, it's only necessary to tighten the packing until a seal is effected, which leaves considerable life in the ring for future adjustments. The extra care we take makes the difference. It complements braided packing with inherent lubrication and heat dissipation to enhance operational life at affordable prices, making it a popular sealing device among OEMs and End Users. 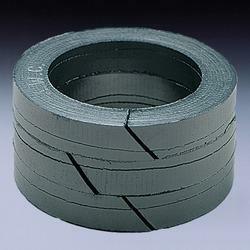 Standard die forming of Graphite Rings the life out of the ring - that's why we pre-form. We put compressibility and resilience into each ring and that's what makes the difference.When you receive a pre-formed ring from Smart-Shield, it still has 15% to 20% compressibility left in it.As you install the ring, it's only necessary to tighten the packing until a seal is effected, which leaves considerable life in the ring for future adjustments. The extra care we take makes the difference. It complements braided packing with inherent lubrication and heat dissipation to enhance operational life at affordable prices, making it a popular sealing device among OEMs and End Users. Graphite Gasket are produced from pure, expanded flexible graphite and do not contain any other fibers or filler materials. 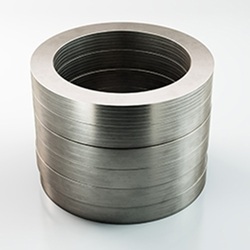 Because of their specific structure expanded graphite sheets are particularly suited for applications with extremely high or low temperatures, with highly corrosive and aggressive media, for sensitive flange materials (i.e. ceramic, glass, plastic) and for gas as well as steam applications. Flexible Graphite Tapes without Adhesive designed for moulding In Situ rings on the stuffing box, just by wrapping suitable width and length of tape on the stem or shaft to achieve sealing. With a tamping tool and gland follower torques end less rings can be formed on site. 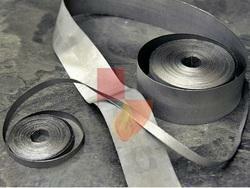 These are self lubricating and inert to serve as universal sealing tape on stuffing boxes. This tape is extremely handy, for emergencies when exact size packing is not available. Just four standard widths means reduction of inventory. Pure Flexible Adhesive Graphite Tapes is designed for sealing flange assemblies when exact gasket sizes are not available. The Pressure Sensitive adhesive backing helps to work on overhead or horizontal flange surfaces. They can be applied in several layers if required. 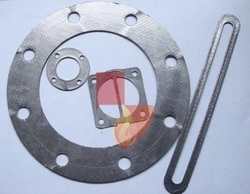 With flange torque, the tape will serve as homogeneous and impervious gasket. 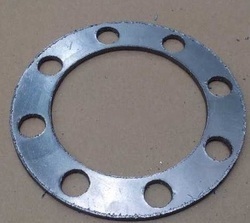 This Gasket Tape also serves as excellent preseat to spiral wound gaskets and corroded and eroded flange surfaces. Plain Flexible Graphite are produced from pure, expanded flexible graphite and do not contain any other fibers or filler materials. 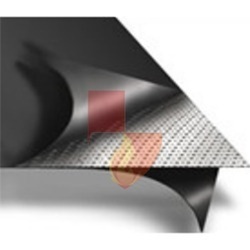 Because of their specific structure expanded graphite sheets are particularly suited for applications with extremely high or low temperatures, with highly corrosive and aggressive media, for sensitive flange materials (i.e. ceramic, glass, plastic) and for gas as well as steam applications. Graphite Reinforced Gasket are produced from pure, expanded flexible graphite and do not contain any other fibers or filler materials. 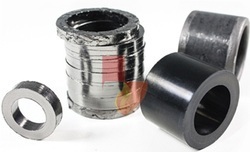 Because of their specific structure expanded graphite sheets are particularly suited for applications with extremely high or low temperatures, with highly corrosive and aggressive media, for sensitive flange materials (i.e. ceramic, glass, plastic) and for gas as well as steam applications. Smart Shield Grafoil Ring the life out of the ring - that's why we pre-form. We put compressibility and resilience into each ring and that's what makes the difference.When you receive a pre-formed ring from Smart-Shield, it still has 15% to 20% compressibility left in it.As you install the ring, it's only necessary to tighten the packing until a seal is effected, which leaves considerable life in the ring for future adjustments. The extra care we take makes the difference. It complements braided packing with inherent lubrication and heat dissipation to enhance operational life at affordable prices, making it a popular sealing device among OEMs and End Users. Smart Shield Graphite Die Molded Ring are manufactured in a range of densities from 1.3 g /cc to 1.8 g /cc. Minimum carbon content 99% through to 99.85%. Corrosion and oxidation resistant grades and a PTFE impregnated grade also available. Square or rectangular section rings are supplied for most applications, however a wide range of non-standard shapes can be produced to suit specific requirements. SMART SHIELD GRAPHITE DIE FORMED RINGS are manufactured in a range of densities from 1.3 g /cc to 1.8 g /cc. Minimum carbon content 99% through to 99.85%. Corrosion and oxidation resistant grades and a PTFE impregnated grade also available. Available from 99% through to 99.85% purities – Corrosion inhibited, oxidation resistant and PTFE impregnated grades. 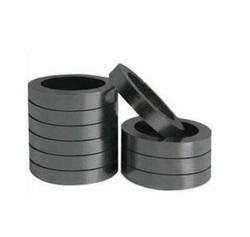 Flexible pure graphite self sealing ring without any reinforcement. 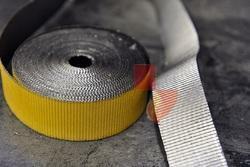 Flexible pure graphite self sealing ring with wire mesh / metal foil reinforcement along the cross section. The above types with multi-layered metallic WIRE MESH or Stainless Steel CAPS on top and bottom. 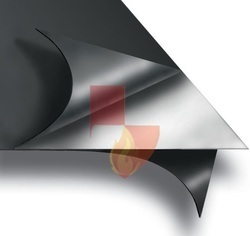 Grapahite Sheet SS Insert are produced from pure, expanded flexible graphite and do not contain any other fibers or filler materials. 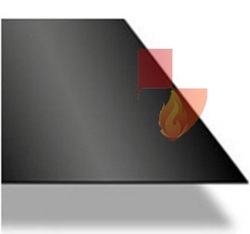 Because of their specific structure expanded graphite sheets are particularly suited for applications with extremely high or low temperatures, with highly corrosive and aggressive media, for sensitive flange materials (i.e. ceramic, glass, plastic) and for gas as well as steam applications. Graphite Sheet are produced from pure, expanded flexible graphite and do not contain any other fibers or filler materials. 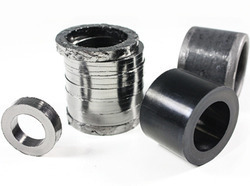 Because of their specific structure expanded graphite sheets are particularly suited for applications with extremely high or low temperatures, with highly corrosive and aggressive media, for sensitive flange materials (i.e. ceramic, glass, plastic) and for gas as well as steam applications. 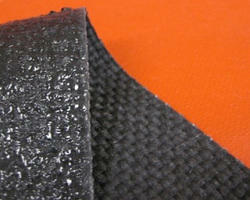 Looking for Flexible Graphite Products ?